Something we failed to mention in our earlier post about our Hawaiian lava trek was this guy. We have no idea who he is, or what happened to him. He simply popped up on the horizon perilously close to flowing lava and in near total darkness. Then he disappeared. Down a lava tube? We don’t think so, but we don’t really know either. Beautiful mystery in the dark! 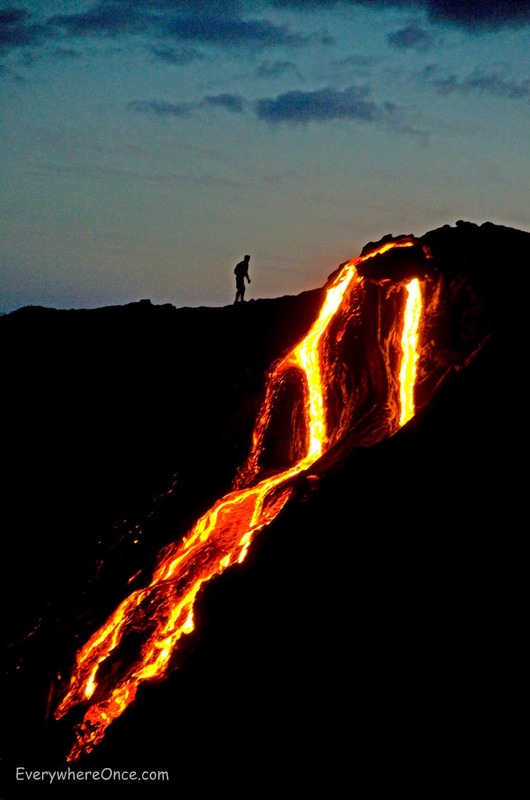 It looks stunning but walking that close to a flaming lava flow is a no joke. Terrifyingly hot.